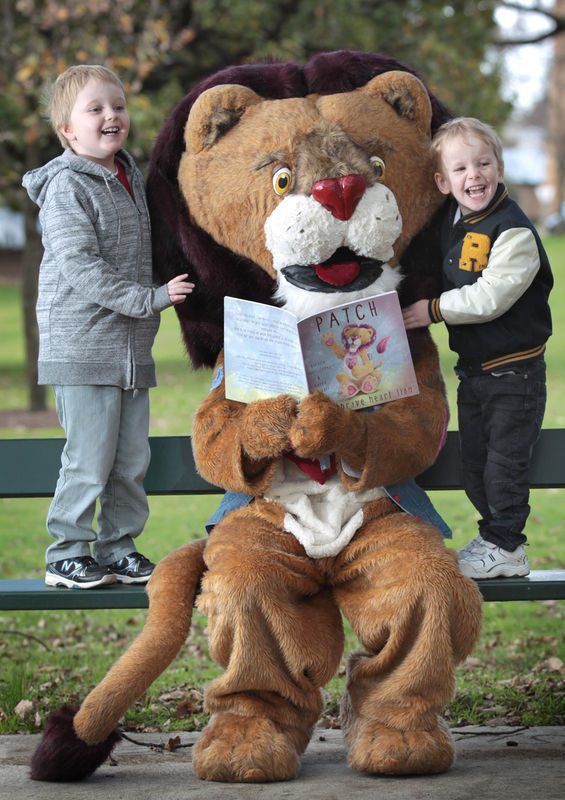 Patch the heart lion spent some time with two young heart warriors, Joshua Jones and Joshua Martin, who inspired his creation. ‘Patch the brave heart lion’ children’s book deals with self awareness and emotions associated with childhood heart disease, hospital procedures and family love. You can purchase the book from www.patchtheheartlion.com. I received my copy of this fantastic book today, I love it, my Heartkid is only 4 months old but as he grows this book will help us be proud of himself and his zipper…..
……. Just wondering if there is anything in the pipeline to do ‘personalized’ books? I have not heard back from anyone and I would like to order another group of books- but would like to get them autographed and get the items signed to specific parties and get them asap…. I have replied to you privately using your email address.